Some interesting local news: Aron’s Kissena Farms is opening a 15,000- foot Pesach Supermarket/Mega Center in the vacant National Wholesale Liquidators property. Instead of the crowded tent of the past years, this should be a whole new and comfortable shopping experience. I hope to stop by soon to check it out. On Sunday night, missiles were launched from Gaza into the Tel Aviv/Kfar Saba area and a missile made a direct hit on a house in Moshav Mishmeret, injuring seven people. The house was demolished, and four pet dogs were killed. Someone posted on Facebook that if we got PETA to condemn the death of the dogs, there will finally be some public denunciation of “animal brutality.” No one cares about the Israelis who get injured or killed, but perhaps they will care about the animals that get killed. Imagine the headlines in the papers. Binyamin Netanyahu was in Washington to meet with Trump and to be there for the signing of the proclamation recognizing Israel’s sovereignty of the Golan Heights. He is heading back to Israel because of the missiles and the strong response by the IDF. The Mueller probe finally gave their findings and all the mainstream media are saying the same thing. Watching Fox last night, they had blurbs of different news broadcasters from ABC, CBS, and CNN repeating words that my husband said sounded like a script. “Just because they didn’t find collusion doesn’t mean there was no collusion,” and the Democrats are planning to continue investigating. Senator Lindsey Graham said that the Republicans will start investigating this dragged-out hoax that from the beginning was intent on Trump losing the election, and when he won, intent on impeachment. Unrelated to this, I want to give a yashar koach to Queens Hatzolah members who came to my office on Sunday because I had an allergic reaction to something I ate. They were professional, calming, and, baruch Hashem, I’m fine. But now I am nervous about eating anything unless I know the full ingredients. I will have to read all labels, but what about restaurants or takeout? Some things are hidden in the recipe. In this case, ground pumpkin seeds were added to chummus. I didn’t read the ingredients because I never would suspect pumpkin seeds as an ingredient in chummus. Now I know that if it has different flavors or varieties, it must be checked. Take care of yourselves and your families. If you know that you have allergies, be vigilant in checking ingredients. Again, a big thanks to the Hatzolah guys who are always there quickly when you need them. The week of Parashas Vayikra was the annual Shabbos of chizuk in the Queens community in which HaRav Yerucham Olshin, rosh yeshiva of Beis Medrash Govoha (BMG) in Lakewood, inspired hundreds of community members by giving shiurim throughout Kew Gardens Hills. On motzaei Shabbos, the rosh yeshiva made a late-night visit to the Chazaq headquarters in Queens to get a close and personal glimpse into Chazaq’s life-changing operations. Then on Monday night, prior to a parlor meeting benefiting BMG at the Shafran residence, rosh yeshiva Rav Malkiel Kotler also made a visit to Chazaq’s headquarters. Similar to a recent meeting with Rav Shmuel Kamenetsky, shlita, the meetings focused on the challenges facing the Bukharian community, with the foremost concern being that approximately 10,000 traditional Bukharian children attend public school in the Queens community. Besides the violence and substance abuse that many students unfortunately become accustomed to, it has also led to widespread intermarriage, and hundreds have lost their Jewish identity over the years. Rabbi Ilan Meirov, director of Chazaq, described some of the many programs that Chazaq offers to strengthen the community at large. They include Sunday and afterschool programs for children, separate teen sessions for boys and girls, community-wide shiurim on an array of topics, along with a beis medrash program and kollel. The PSTY (public school to yeshiva division) is one of Chazaq’s crown jewels and the main topic of the meeting. R’ Ephraim Rubinov, who was originally a successful computer technician who dropped his career to dedicate himself to the community, showed the rabbanim all the work Chazaq has accomplished and can, be’H, accomplish in the future with the proper resources. He is currently running a task force of several recruiters who contact parents, discuss the physical and spiritual dangers of public school, help identify the appropriate religious school, and help them transition into them. 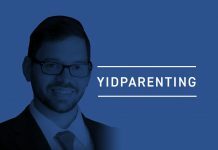 He has designed a computer program that stores the database of thousands of children, the status of each active case, every interaction of his team and the prospective yeshiva student, and the follow-up of all children who have already made the transition. R’ Ephraim himself is responsible for gathering all the documents needed to verify the lineage of each child. This can include birth certificates, marriage licenses, and kesubos. With Hashem’s help, Chazaq has already transferred approximately 600 children to yeshivos in two and a half years, a remarkable accomplishment. The roshei yeshiva were visibly touched by the work Chazaq does and blessed them to continue in their avodas ha’kodesh. For more information about Chazaq, please visit Chazaq.org or email info@chazaq.org. For sponsorship opportunities, please visit givechazaq.com. Project Lead has been providing human services throughout the central Queens area for the past 25 years. On Sunday, March 24, they celebrated their commitment to frail elderly, Holocaust survivors, immigrants, and Jewish youth. Over 130 individuals attended the event at the Prestige restaurant in Rego Park, including elected officials, professional staff, clergy, and other community leaders. Job Fair. Friday, March 29 from 8:30 a.m. to 2 p.m. at Commonpoint Queens, 67-09 108th St. Hosted by the Queens Chamber of Commerce and Macher. Register at commonpointqueens.org/jobfair. “Preparing for the Inevitable,” featuring Rabbi Elchonon Zohn and Rabbi Yoel Schonfeld, Sunday, March 31 at 9:30 a.m. at the Young Israel of Kew Gardens Hills, 150-05 70th Road. Presented by National Association of Chevrah Kadisha. Rabbi Dr. Stuart Halpern speaking on “The List of Four About Which The Hagaddah Doesn’t Tell You,” Sunday, March 31 at 7:30 p.m. at 169-07 Jewel Ave. Presented by Young Israel of Hillcrest.